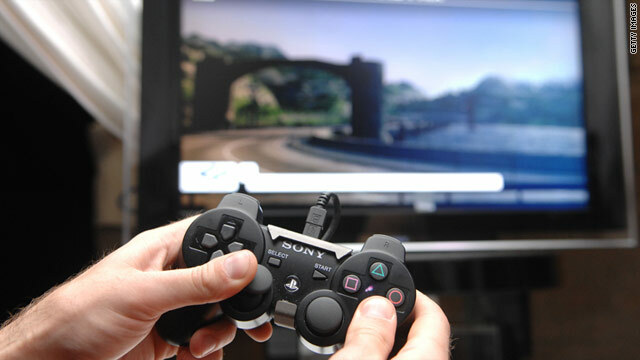 PlayStation 3 owners haven't been able to use their systems to play online or download games since Wednesday. (CNN) -- PlayStation Network users are still waiting for an extra life. Five days after a hacker invaded Sony Computer Entertainment's PlayStation Network resulting in a lengthy outage, the video game giant has yet to offer a comprehensive explanation. PlayStation internet services went offline on Wednesday and have remained down. In several public statements, with one as recent as Monday, Sony has said the persistent downtime was due to an "external intrusion," but has not provided a target date for when services will return. Sony previously said it was rebuilding its framework to ensure proper security measures are put in place. "Unfortunately, I don't have an update or timeframe to share at this point in time," PlayStation spokesman Patrick Seybold said in a statement on Monday. "As we previously noted, this is a time intensive process, and we're working to get them back online quickly." The PlayStation Network is a free utility that lets gamers communicate and play with each other, as well as download games and movies. Sony also offers subscription programs called PlayStation Plus, which provides access to exclusive games, and Qriocity, which offers on-demand music and movies over the internet. Those services also remain unavailable. A Sony spokesman in Tokyo, where the company is headquartered, said investigations haven't uncovered whether the intruders gained access to personal information or credit card numbers, according to a report from technology news service IDG. The spokesman reportedly said Sony would contact those affected if investigators discover that info was leaked. CNN's request for comment was not returned by a Sony spokeswoman. The network failure was apparently more severe than originally thought. Sony released a statement on Thursday saying, "It may be a full day or two before we're able to get the service completely back up and running." Gamers are livid. The timing is especially frustrating because it comes on the heels of three blockbuster launches for the PlayStation 3. Sony's "SOCOM 4" is the latest in a third-person shooter series about Navy SEAL operatives, which heavily promotes its online-play component. The new "Mortal Kombat" game is also supposed to let gamers play online. "Portal 2," the critically acclaimed shooter-puzzle game, debuted alongside a much-anticipated game-download service called Steam. All these launched in the United States on Tuesday, one day before the outage.